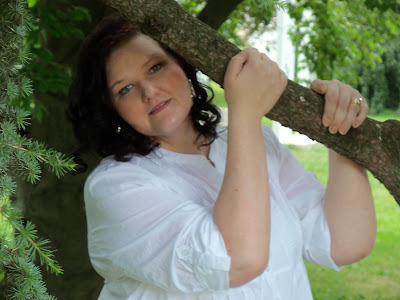 My name is Kymberlee Burks-Miller and I am the author of the YA Paranormal Romance, Compulsion. I am originally from Baltimore, Maryland (Go RAVENS! ), but now reside in Pennsylvania. I am also a wife and a mother. I would love to be able to tell you all that my days are filled with glamorous outings, dressed to the nines and non stop writing, but...the reality of the situation is that on any given day my hair is usually in pigtails or a ponytail, I hardly EVER wear makeup, and my favorite clothes (Ask anyone in my town) are sweats, or jammies. And before you even ask, YEP that's a big 10-4 that I do go shopping in said jammies! I try to write as often as I can. Translation, when the hubby, kid, fur-babies, and my bi-polar parrot are around NOTHING gets done. I enjoy spending time with my family, and lets face it, kids are only young once! Okay, on to more interesting things! I have written all of my life and find great joy and solice in my work. I have to say that I HAD been only writing YA until recently. However I love to jump out of the box and my comfort zone. So I have adult paranormal series in the works titled Supernatural Society. 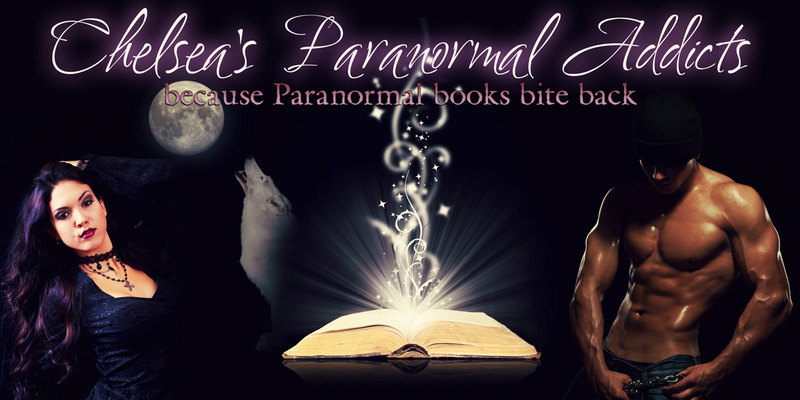 I'm not sure that I would call it a paranormal romance. It's more along the lines of anything goes paranormal. I am also getting ready to release the much anticipated Enchantment, which can be found on my authors fanpage or my blog. After Lilyann Moons' grandmother dies under suspicious circumstances, she and her eleven young family members are thrown into the world of witchcraft and the paranormal. A world they know nothing about and need to learn fast! Lily is the most powerful witch in over five centuries, but she's untrained and uninitiated. Now the vampires have found out that the Moon line didn't end with her grandmother and they're coming to claim their prize, her blood. The only bright spot in this nightmare was meeting Mason, but is she in love with the enemy? She’s in a race against time to save her coven. Will Lily survive with her heart and neck intact? 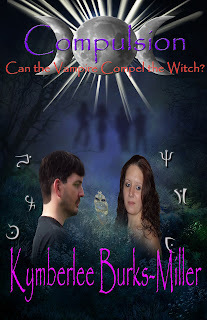 Kymberlee has graciously donated three (3) eBook copies of Compulsion to our loyal readers! To enter: Answer this question: What paranormal creature would you like to read about? To earn additional entries: These are not mandatory, but do increase your odds of winning. I would like to read about, dragons and trolls. Although I think any paranormal creature adds a special something to the life of a book. I think I want to see more about gryphons, or hydra's.. xD; Wyvren's lets do crossovers their so much fun~! Me? I love Vampires the most but do like to read about Werewolves, withches, ghosts etc too:) I used to read a lot of fantasy too, so really anything that draws me in and away from reality is a winner! I love reading about most paranormal beings but really like the ones that aren't written about often such as Mermaids. I would love to read about demons. :) Thanks for this great giveaway!! I would like to read about trolls. I never see enough of them. Or gnomes :) sock stealing thieves, the lot of them!